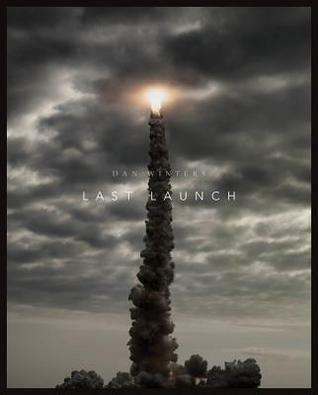 Dan Winters’s “Last Launch: Discovery, Endeavour, Atlantis” is a wonderful book, a photographic record of NASA’s final three Space Shuttle launches. I do not deny that I’ve always been a space nerd. Growing up on Florida’s West Coast, I remember going out in the front yard, watching night-time Apollo launches. The same was true for the shuttles. There was a delay, of course. When they were televised, we could watch the actual lift off from Cape Canaveral, then walk outside and look to the east-northeast, and soon enough, there was the bright orange flame as another space mission commenced. Dan Winters relates his own story of watching the Apollo 11 launch on TV. Something struck the same chord in both of us: there was something sacrosanct in strapping astronauts into a giant, controlled bomb, then flinging them into space. The photos Winters shares are remarkable. Some of them amazed me with their stark clarity, the fine shadings of light on an external fuel tank, or the chiaroscuro of the shuttle’s exhaust trail. Especially intriguing is the method Winters used to capture multiple images from multiple angles. He set up cameras–up to nine of them on some shoots–and had them pre-focused and ready to go by launch time. They turned on shortly before launch. When the sound reached the camera, an ingenious sound-based trigger fired the cameras at five frames per second. Each of these cameras stood on a tripod, which was weighted and strapped down to hold it steady. In addition to the beautiful launch pictures, Mr. Winters was allowed to take pictures inside the shuttle. The cockpit technology is daunting. There is some good commentary here, too. Al Reinert’s introduction gives a precis of the shuttle program, its successes and failures. Winters adds some writing as well. If you’re looking for a complete study of the Space Shuttle program, this would not be the book for you. “Last Launch” is not filled with recitations of facts, nor with charts and diagrams. Rather, “Last Launch” is a loving tribute to the Space Shuttle program, spotlighting these ships that never quite measured-up to their expected use–initially, the idea was a flight every other month. There were growing pains, and we’re left wondering whether the Shuttle would have been more successful if Congress had had more realistic expectations. With the shuttle fleet grounded, there is no way to get additional pieces to the International Space Station. The Russians have some good rockets, but nothing that can handle a payload as big as the shuttles could. I managed to see a Shuttle Launch from on Kennedy Space Center grounds, and it was an experience I’ll never forget. Seeing those rockets fire, then a few seconds later, hearing that earth-quaking roar…these images will remain with me forever. This is not a long book, but there is no wasted space–it’s quality over quantity (much like the Shuttle program itself). With the holidays approaching, this would be an excellent choice for the space geek in your family.